FIFA 20 was officially announced by Electronic Arts. It was expected but now it is confirmed: EA Sports FIFA 20 will be released this fall. The official announcement was made on February 5, during the Electronic Arts preliminary financial results meeting. 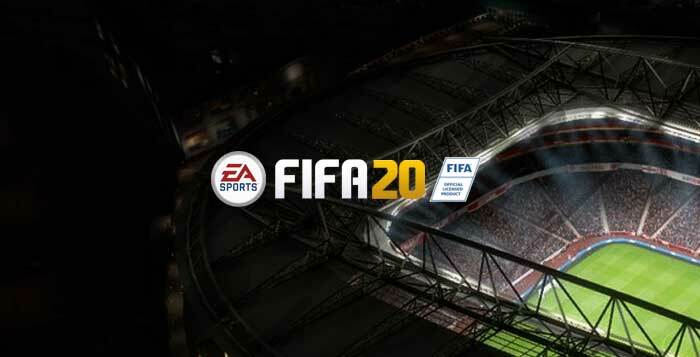 According to Blake Jorgensen, EA’s COO and CFO, “FIFA 20 will include some significant new features and we plan for both FIFA and FIFA Ultimate Team to grow over this year”. Andrew Wilson, EA’s SEO, also said that “Looking ahead to FY20, we have a large slate of new games, beginning with some big new additions in our next FIFA title. In FY20, we’re also set to deliver more content and new experiences in more live services than ever before. We’re excited to continue building on the success of our Ultimate Team modes for EA SPORTS. In fiscal 2020, we will continue to innovate on our sports titles, with growth for them expected to be in the range of flat to up 5%”. For those who were expecting a membership program, instead of a new yearly title, Blake explained that “Our belief remains strong that the combination of subscriptions and streaming will be transformative to the future of gaming, and we are well-positioned for that evolution. Earlier this fiscal year we added a new frontline tier to our subscription offerings for PC players, and in the year ahead we plan to offer a subscription service on another major platform. We have a lot of great content coming in FY20, and we’re excited for more players to experience it through our subscription programs across more platforms”. Was he talking about a potential PlayStation Access program? We don’t know. We expect to see EA Sports FIFA 20 hitting shelves on September 27, 2019 (Friday). EA and Origin Access members will probably have the chance to play it from September 19, one week after the demo release. You can vote for the leagues you would like to see in FIFA 20, clicking here. Why not add all 200 national teams or add a world cup qualifying mode like road to world cup 98. Or bring back creation center . hwllo. will either the Russian or Brazilian league will be licensed for fifa 20?